John McDonnell, Shadow Chancellor and Sue Hayman, Shadow Environment secretary. 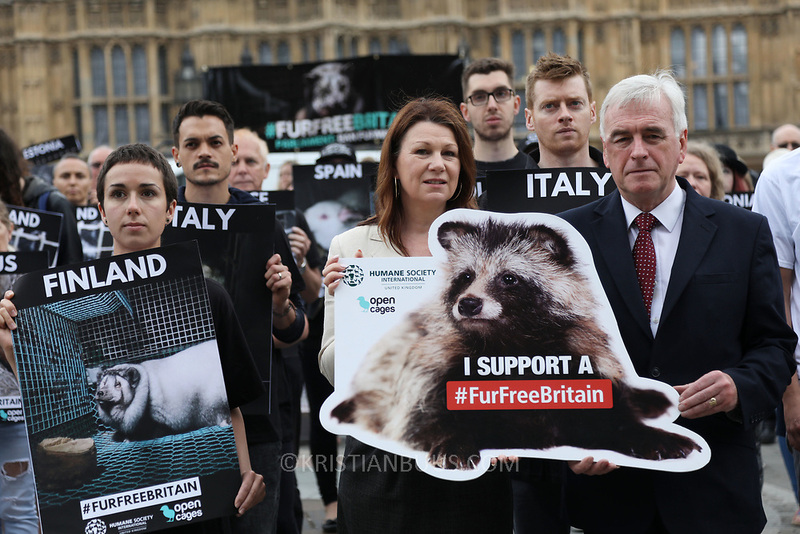 In connection with a debate on banning fur import to Britain in Parliament Open Cage and Humane Society International held a demonstration outside Parliament to draw attention to the continued use of fur in Britain inspite of fur production is banned in Britain. The campaigners want all sale of fur banned.